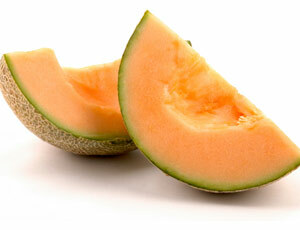 If you’ve seen the news lately you’ve heard about the outbreak of Salmonella from contaminated Cantaloupes. What you probably haven’t heard is that Salmonella doesn’t “grow” or live in fruit. For these Cantaloupes to get contaminated they had to have come into contact with Feces or raw meat at some point, which in it’s self is a little upsetting. I’m certainly no expert on the subject but my guess is that the farm was using manure from sick livestock or chickens to fertilize their crops and didn’t sanitize them after they were picked. The best way to avoid getting sick from something like this is to wash the outside of your fruits and vegetables with warm soapy water before cutting them. Keep in mind the only part of a fruit or vegetable that will be contaminated is the outside and if you cut the outside with a knife you drag the Salmonella into the fruit and contaminate it.